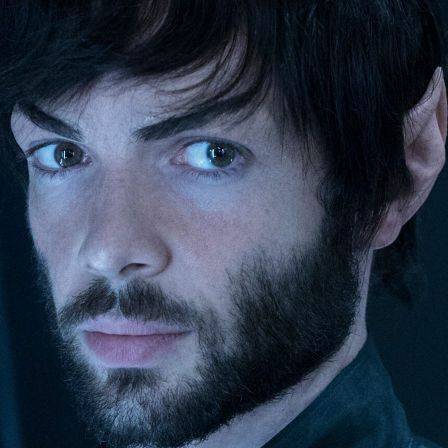 Question : “Do you like a bearded Spock who smiles? Question : Do you like the trailer for Discovery season two? Question : Which series would you most like to be a crew member on? Question : Who is your least favourite character in Discovery, season 1? Question : Who is your favourite character in Discovery, season 1? Question : What was the worst episode of season 1 of Discovery? Question : What was the best episode of season 1 of Discovery? Question : What did you think of episode 15 of Discovery - "Will You Take My Hand?"? Question : What did you think of episode 14 of Discovery - "The War Without, The War Within"? Question : What did you think of episode 13 of Discovery - "What's Past Is Prologue"? Question : What did you think of episode 12 of Discovery - "Vaulting Ambition"? Question : What did you think of episode 11 of Discovery - "The Wolf Inside"
Question : What did you think of episode 10 of Discovery - "Despite Yourself"
Question : What was your favourite episode of The Orville? Question : How did you think The Orville worked out? Question : So now that Discovery has finished the initial run, how did the reality compare with your expectation? Question : What did you think of episode 9 of Discovery - "Into the Forest I Go"
Question : What did you think of episode 8 of Discovery - "Si Vis Pacem, Para Bellum"
Question : What did you think of episode 7 of Discovery - "Magic to Make the Sanest Man Go Mad"?